Lemon Kitscharms will be attending 2 events dates in June, details below. If you want to see and feel our vintage jewels up close, please use this rare chance to visit us in person! I will be bringing a large variety of necklaces and earrings with nice prices, also some newly arrived stock that is not in the shop, the price range will be S$7.00 to $30.00. See you there! This big event is held at Suntec Convention Hall and one of the largest Public Garden organised for their anniversary. There will be lots of local and international vendors featuring artisan, designer, vintage and other handmade products, which is why it is held in a convention hall this time! Cash payment only, thank you! 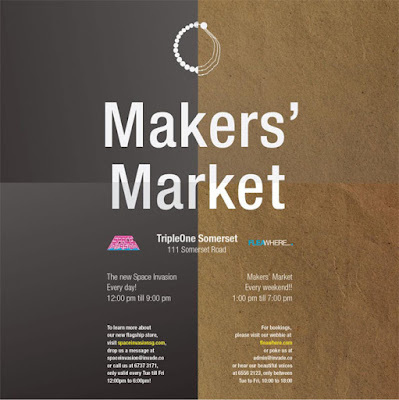 Makers' Market is a new curated fair held near bustling Orchard Road, it is located by Somerset MRT. 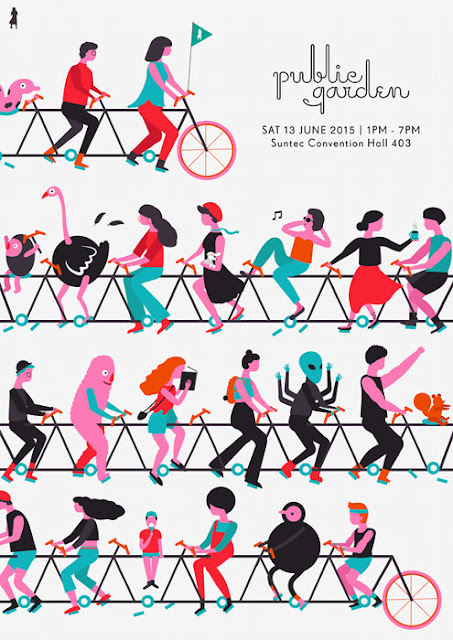 There will be 20 vendors selling their handmade, artisan and vintage merchandise here! Cash payment only, thank you! - Event is held near Coffee & Toast (atrium facing Devonshire Road). - If you are coming in through the mall entrance by Somerset Road, walk past the lift lobby towards the other side.